Q-Connect Drywipe Eraser Washable KF01972 Pack of 1 Q-Connect Whiteboard Eraser. Washable, lightweight eraser with a soft absorbent surface making board cleaning easy. 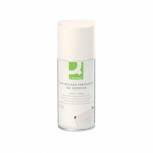 Q-Connect Whiteboard Surface Cleaner 250ml KF04552 Pack of 1 Q-Connect Whiteboard Cleaner. Removes grease and grime from all hard surfaces and Whiteboards. 250ml. 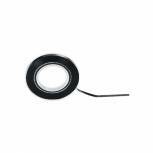 Nobo Gridding Tape 1.5mmx10m Black 1901120 Pack of 1 Nobo Gridding Tape. For use with all magnetic boards, planners etc. Size 1.5mm x 10m. Colour - Black. 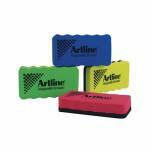 Artline Smiley Whiteboard Eraser Assorted (Pack of 4) ERT-mmS-GB4 Pack of 1 Specially designed magnetic eraser allows easy adhesion to magnetic drywipe boards. Removes all marks made with drywipe markers from your whiteboard. 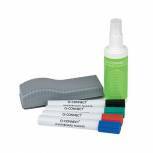 Q-Connect Economy Whiteboard Starter Kit KF10690 Pack of 1 Q-Connect Whiteboard Kit for all your basic requirements for your whiteboards. 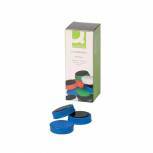 Each kit contains 1 (125ml) Whiteboard Cleaning Fluid, Whiteboard Eraser and one each of Black, Blue, Red and Green Whiteboard Markers. 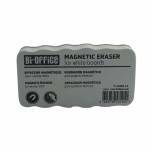 Bi-Office White Lightweight Magnetic Eraser AA0105 BQ53105 Pack of 1 Lightweight magnetic board eraser for magnetic and whiteboard surfaces. Cleans surface to enable re-use time and time again. 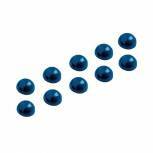 Q-Connect Round Magnet 25mm Blue (Pack of 10) KF02640 Pack of 1 Magnets for use with Q-Connect magnetic boards. Variety of colours perfect for colour coding. Strong magnets guarantee sticking power to your board. 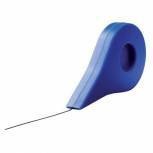 Perfect for pinning of documents. High value alternative to big brands. Colour Blue. Size 25mm diameter. AF Whiteboard Cleaning Kit AWBlack 000 Pack of 1 AF Whiteboard Clene Kit. A composite kit for the removal of dry ink residues and grease from enamelled or laminated whiteboards. Includes 1 x 125ml solution, 1 x eraser, 5 x cloths, 5 x assorted magnets and 4 x assorted pens. 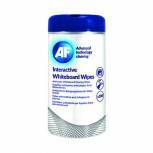 AF Interactive Whiteboard Wipes (Pack of 100) AWBW100T Pack of 1 AF Interactive Whiteboard Wipes. Impregnated wipes for quick and easy cleaning of interactive white boards. Supplied in a re-sealable tub to keep each wipe fresh and moist. 2Work Whiteboard Cleaning Wipes (Pack of 100) DB50372 Pack of 1 Tub of 100 moist, lint-free wipes pre-saturated in alcohol-free cleaning liquid. Removes grease, dirt, ghosting stains and dry wipe marker pen. 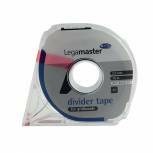 Legamaster Self-Adhesive Tape For Planning Boards 16m Black 4332-01 Pack of 1 Self adhesive divider tape is a quick and precise way of marking out columns and rows to transform any whiteboard into a planner. Handy dispenser for easy application. Tape can be removed and board re-used. Tape size: 2.5mm x 16m. Colour: Black. 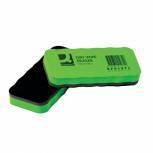 Show-me Mini Wooden Handled Felt Whiteboard Eraser (Pack of 30) WME30 Pack of 30 Show-me wooden handled mini felt eraser WME30. Ideal for small hands. Wipes away drywipe ink quickly and easily. Approx size (mm): 75 x 50 x 25. Traditional wooden-handled erasers. Shaped handles in a natural wood finish. Soft, washable felt surface. Q-Connect Whiteboard Surface Foam Cleaner KF04504 Pack of 1 Q-Connect Surface and Whiteboard Foam Cleaner. Restores the appearance of Whiteboards, keyboards, casings, monitors, mice and much more removing ingrained grease and dirt. Do not use on screens. 400ml. 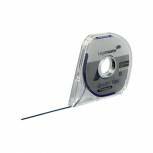 Legamaster Self-Adhesive Tape For Planning Boards 16m Blue 4332-03 Pack of 1 Self adhesive divider tape is a quick and precise way of marking out columns and rows to transform any whiteboard into a planner. Handy dispenser for easy application. Tape can be removed and board re-used. Tape size: 2.5mm x 16m. Colour: Blue. 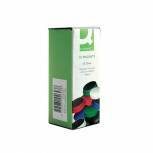 Q-Connect Whiteboard Permanent Ink Remover 150ml KF01974 Pack of 1 Q-Connect Permanent Ink Stain Remover. A unique formula that will rejuvenate Whiteboards by removing permanent ink, ghosting effects and minor scratches making as new again. 150ml. 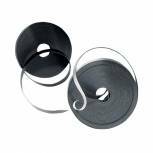 Bi-Office Gridding Tape 1.5mmx10m Black FM0505 Pack of 1 Bi-Office Gridding Tape 1.5mm x 10m Black FM0505. For use with whiteboards. Self-adhesive for easy application. 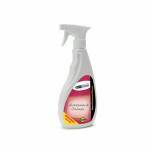 Show-me Whiteboard Cleaner 500ml WCE500 Pack of 1 Show-me 500ml Whiteboard Cleaner. Trigger spray bottle dispenses cleaner easily. Removes drywipe ink from whiteboards. Safe, non flammable, alcohol free formula.